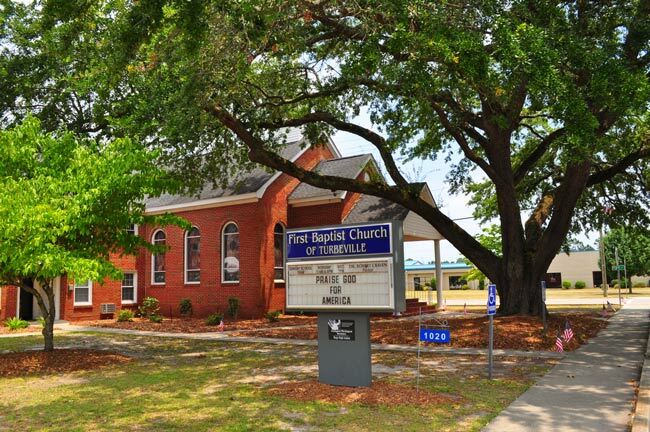 The First Baptist Church of Turbeville began in 1917 as a club called the Turbeville Baptist Circle. After the club acquired a pastor, the Reverend John W. Guy, the group held formal meetings in a public building owned by D.L. Green and John F. Turbeville. By 1918 the club officially became the First Baptist Church of Turbeville. If you have any stories to share about the First Baptist Church of Turbeville, please send them to the South Carolina Picture Project!